Jonny is sitting on top of the world this week after Vroom readers voted him the best driver in 2017. 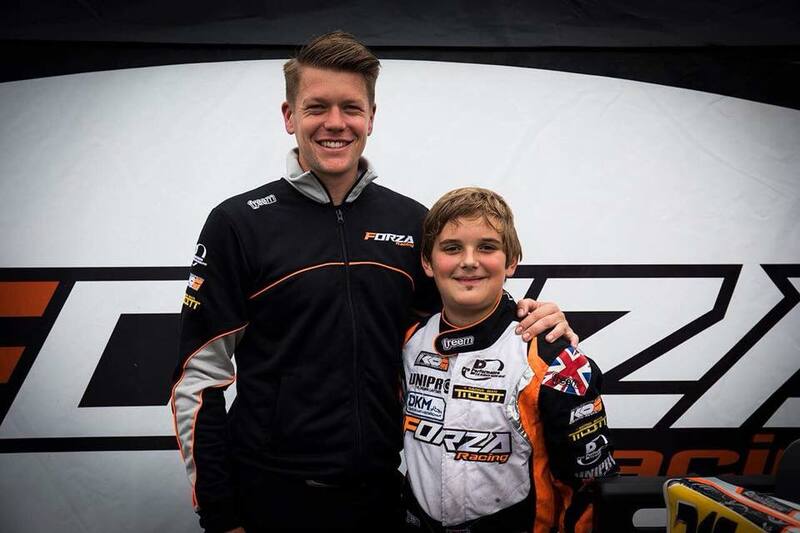 The world’s leading stars from all CIK classes were shortlisted by Vroom International Magazine last November and it has now been announced that he came out on top of the rankings. This accolade from Vroom readers was due in no small measure to Jonny’s performance in the 2017 CIK/FIA European Junior Championships. He crossed the finishing line ahead of all others in three rounds and achieved podium finishes in the other two. He won the title by a comfortable margin over Harry Thompson. 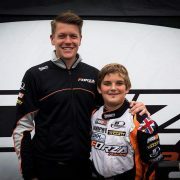 Jonny caught everyone’s eye during Round 2 at the Alonso circuit in Spain. After a couple of misfortunes in his heats, he set off from grid 17 and came storming through for a race “win”. Unfortunately, his front bumper had been displaced after an incident on the rolling lap and he incurred a ten seconds penalty that relegated him to 14th position. “Even though I only scored two points at this round, it still rates as my best performance of 2017,” he insists. Still aged just 13, Jonny has now moved out of the junior category and will compete as a senior this year.